It comes as no surprise to my friends and family that the time has come for me to set aside some of my storage devices and server builds of the past for something bigger and better in 2017. Over the years, we have embarked on a couple of projects related to building a NAS and piecing together a 40TB server using parts left over. This year, I have decided that I would go a few steps further…I decided that this build would last more than just a year. With that said, I started to scour the web for components and started planning the next CODServer, but why? To be honest with you, an 8-bay QNAP TS-863+ had been doing just fine as the hub of my home network. With eight 4TB drives humming away in the background and PLEX Media Server doing its thing, there had been little need for me to stray. The QNAP platform had provided me with everything I needed. I could install apps like Sonarr, SABNZBD, Crashplan, and much more while the container station provided me with a virtualization platform to run other operating systems to perform functions I couldn’t squeeze out of the NAS itself. The only drawback was when I got the dreaded message telling me my volumes were nearly full. I suppose I could have just spun up one of the other NAS and solved the problem using some clever iSCSI magic, but I am now looking for consolidation. Instead of running a bunch of devices, I want one device. My home office had become a whirlwind of spinning disks and fans. It was the warmest room in the house and with all the LEDs blinking, it looked like the inside of a spaceship. With the decision made, and support from my wife secured, I started scratching down a list of components and hitting all the regular sites to plan the build. Having done my homework, I pieced together what would become the server that would last at least another year. Luckily, there was a slew of components I already had, however, for your purposes, I will list them out for a total build cost. This would be, by far, the most expensive storage build COD has had to date… so take a deep breath, get your safety goggles on, and let’s dive right in. The case for this build would be one of the most researched bits of hardware. I had seen plenty of folks piecing together unRAID builds with NORCO 4020 chassis and absolutely raving about them. While the NORCOs looked good, I just seem to have an affinity towards SilverStone. Their products are always high quality, and I know what to expect. First thing I did when looking for a case for this build was hit the SilverStone website, that is when I came across the SilverStone RM420. This case really has it all. 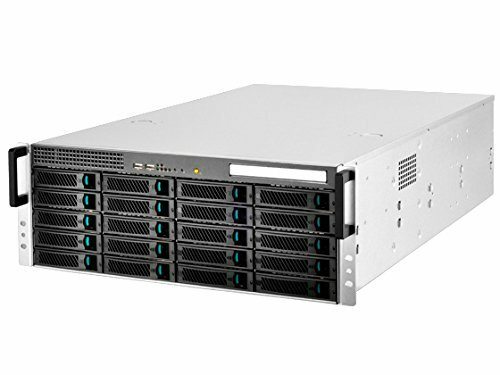 It is a 4U chassis with 20 drive bays, tons of cooling, and can home an SSI-EEB motherboard. The backplane uses SFF8087 connectors and sits right in front of four hot-swappable 80mm fans. The case can not only house twenty drives, but it can also support a 2.5″ drive as well as a slim optical drive. Stay tuned for a detailed review. A big thank you to SilverStone for sponsoring the case for this build, stay tuned for our full review. 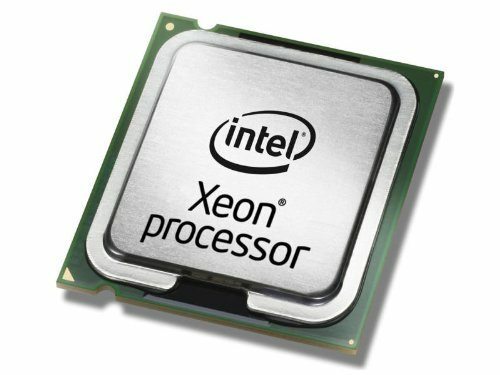 It may be one of the best-kept geek secrets out there; you can get some great processors on the cheap from dismembered servers on eBay. I am not particularly worried about “new”. You may know this by my home full of refurbished or open box media and computer equipment. I found a pair of E5-2670’s on ebay waiting to find a home in my upcoming server build. The E5-2670 is by no means today’s best processor, but with 8 cores and 2.60GHz each, they will definitely serve you well. Pairing these puppies up will give me 16 cores to play around with. Perfect for a home server build. With RAM on the move, I figured buying a stick for each available slot would be a good idea. While you will not likely need 128GB of RAM, having the room to grow means this server will last just a bit longer. Can you get away with 64GB, 32GB, even 16GB? I would say yes, depending on use. I plan on running a few applications and a virutal machine here or there… so why not. No server would be complete without the ability to connect a few hard drives. Typically, NAS run variations of Linux and provide some software RAID functionality. With Software RAID, it is easy to expand arrays. 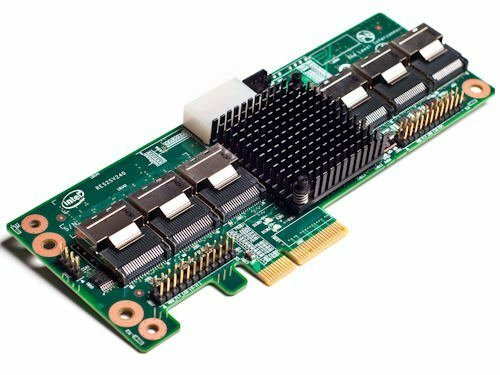 For a few extra dollars, you can get a SAS card that is capable of connecting more drives than a SATA controller card and is RAID capable giving you some options. 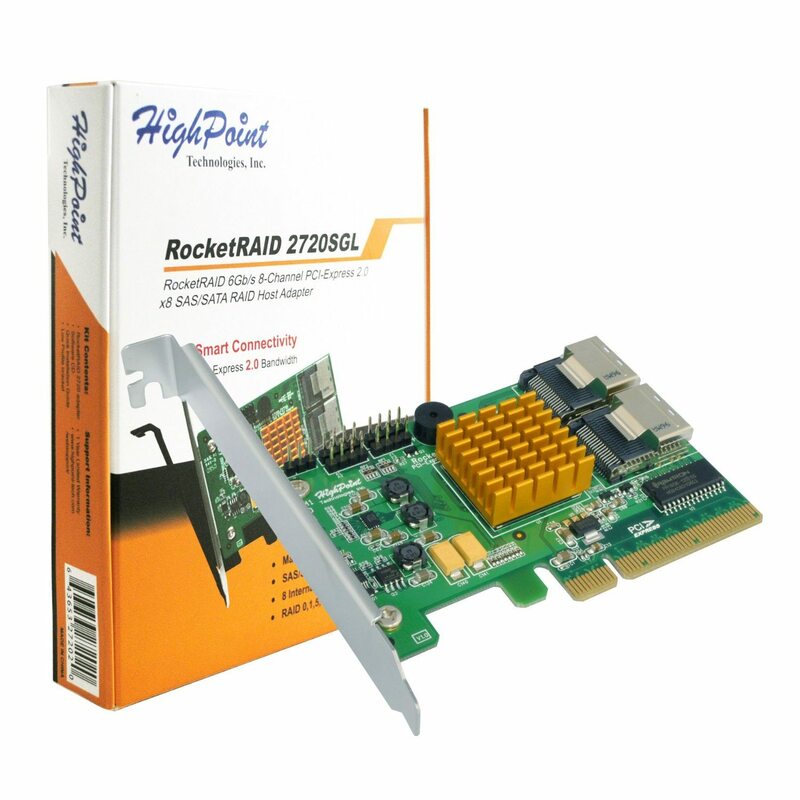 With this in mind, the HighPoint RocketRAID 2720SGL 8-Port PCI Express controller card is a perfect fit. There are two SFF-8087 mini-SAS connectors and the card is capable of transfer rates of up to 6Gb/s. Additionally, the card supports passthrough so you are not limited to a controller based RAID array. If you are in the market to save some coin, you could easily save a few bucks by buying a used controller from ebay. I have no reservations about it. In fact, my original purchase for this build was an LSI MegaRAID 9261-8i that I purchased for $92.75. Having a case with backplanes that support SFF8087 means that a SAS expander is in order. Incorporating an expander card helps to relieve the price burden on more robust controller cards. It doesn’t hurt that it comes with all the cables necessary either saving you some money on additional accessories. While there is no shortage of options out there, this one seemed to be the most affordable I could find. 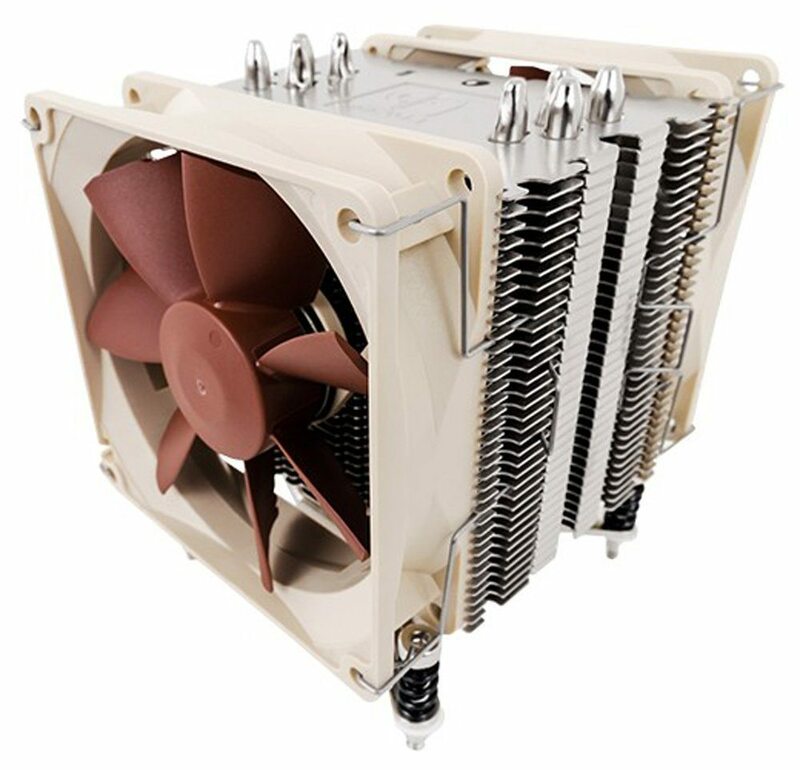 You know as well as I do, Noctua has a reputation for producing high-quality CPU cooling. When it came to cooling my E5’s, the first place I turned to was Noctua. The NH-U9DXi4s sport dual 92mm SSO bearing fans, 4 heat pipes, and more than 3800cm^2 of surface area. These 4U compatible coolers are a no brainer. Although they aren’t the cheapest option I looked at, their reputation for quality and my experience with their products makes the additional money easily worthwile. Our budget choice for CPU cooling isn’t exactly a bottom of the barrel pick. The Supermicro coolers have withstood the test of time and have the endurance and quality to be high on anyone’s list for quality components. The second most expensive component in this build is the motherboard. There was plenty of competition out there from some pretty recognizable names, but I needed some bang for my buck on this build. The EP2C602-4L/D16 supports dual LGA2011 CPUs and features the Intel C602 Chipset. Aside from that, there are four ethernet ports, 6 x SATA3, 8 x SATA2, integrated graphics, and supports up to 512GB of RAM! Form factor? SSI EEB (12.0 x13.0 inch / 30.5 x 26.7 cm). If you decide that a single processor will do, you really open your doors to plenty of options. However, there are so many that I just couldn’t pin down anything that would be the best fit for a budget option. If I were going to go single CPU, it would end up being some leftover motherboard and CPU I have lying around. I have been a longstanding fan of separating my OS from my data. Having a dedicated SSD for the operating system allows me to quickly switch things up if I need to without too much hassle. Samsung SSD’s have provided me with plenty of performance over the years and have proven to be reliable enough for me to slap this OS on it without much worry. I could have used a drive in the 128GB size range, but I just happen to have this 256GB lying around collecting dust. 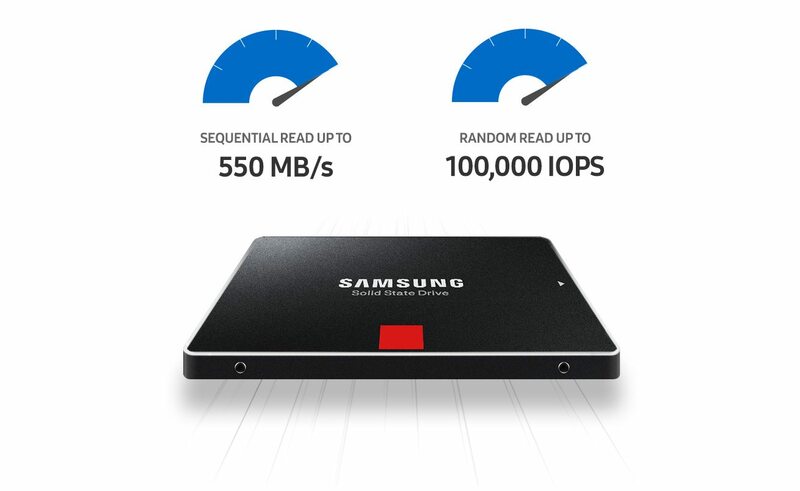 With read and write speeds in the 500+ MB/s range, there is plenty of horsepower. Unfortunately, I didn’t have two of these lying around, so I used my Crucial MX200 500GB drive as dedicated storage for HyperV. In an ideal world, I would have outfitted this server with redundant power supplies. However, living in the real world, I don’t have the budget, nor the separate poles to make it worthwhile. With that in mind, I have to ensure that my efficient PSU would power the dual Xeons and the 22 hard drives this system has running. 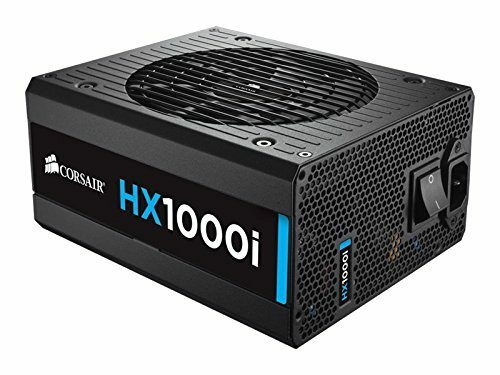 To be honest with you, 1000 Watts may be a bit much, but with a 80+ certification, the unused power will be unused efficiently. As for filling this thing with hard drives, I can’t say that I am going to source any specific drive. There are a lot of great options out there but many of them are just not within my reach. As for me, I will be pilfering drives from various NAS I have around to fill this thing as much as I can. That means a mix of Seagate NAS drives, some Iron Wolf Drives, some Hitachi NAS Drives, some Hitachi standard drives, and whatever else may be sitting about in the basement. With the parts ordered and delivered, piecing together this 2017 COD Server will be the next order of business. With a total cost of $2310.44 as configured, it may seem like a steep investment, but in all reality, it really isn’t. 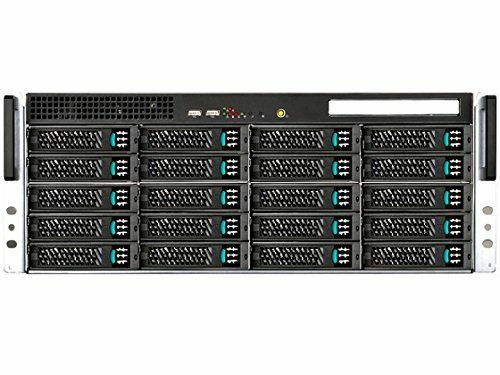 It falls right in line with many high-quality 10-bay NAS making it an easy investment if you are shopping for storage. You can save yourself some money by switching around some of the components of this build. For instance, you can save $100 by switching out the PSU, $80 for the SSD, $70 on the controller, and more than $250 on the case bringing the total cost down to $1,563.19, cheaper than a 10-Bay QNAP NAS!